The morphological identification of plantain cultivars is important since molecular tools appear to have little value in supporting research in plantain taxonomy to differentiate plantain cultivars. In the new system, three sets of descriptors are used: the first are the main descriptors such as bunch size and orientation, plant size and height, which allow a quick and easy separation of plantain cultivars. Bunch type was a major striking difference and quickly separated plantain cultivars into three main types. Other striking differences were the size of the pseudostem or trunk (giant, medium-sized, and small-sized) and the bunch orientation (which was generally pendulous or subhorizontal, and rarely horizontal and erect). The secondary descriptors allow the differentiation of one cultivar from another within the same main group of bunch type, pseudostem size, or bunch orientation. Multiple secondary descriptors include pseudostem color, immature fruit peel color, fruit shape, fruit apex, fruit position, number of hands, fruit size, number of fingers per hand, and flower relicts at the fruit apex. The third set are the rare descriptors, which allow the differentiation of one cultivar from all the others in the subgroup. According to the researchers, this approach proved useful in differentiating the nearly 100 plantain accessions in the collection of the University of Kisangani (UNIKIS) in DRC. This approach makes cultivar description logical and faster because it moves from general to particular characteristics. The study, titled The morphological diversity of plantain in the Democratic Republic of Congo by J.G. Adheka, D.B. Dhed’a, D. Karamura, G. Blomme, R. Swennen, and E. De Langhe, focused on the morphological characterization of plantain cultivars collected in the period 2005–2014 in 280 villages across nine provinces of DRC. These cultivars were established in two field collections at UNIKIS. Most of the collected cultivars were French plantains (64 out of 98), followed by False Horn (23) and Horn (10) plantains. Banana cultivars are usually described using Descriptors for bananas (Musa spp.) developed by IPGRI-INIBAP/CIRAD in 1996. The researchers had adapted these existing descriptors to better differentiate the variation and improve future research on plantains. This new work, published in Scientia Horticulturae, however, showed that this descriptor list is not appropriate for describing variation within the plantain subgroup, with 77 out of a total of 117 descriptors not considered useful. 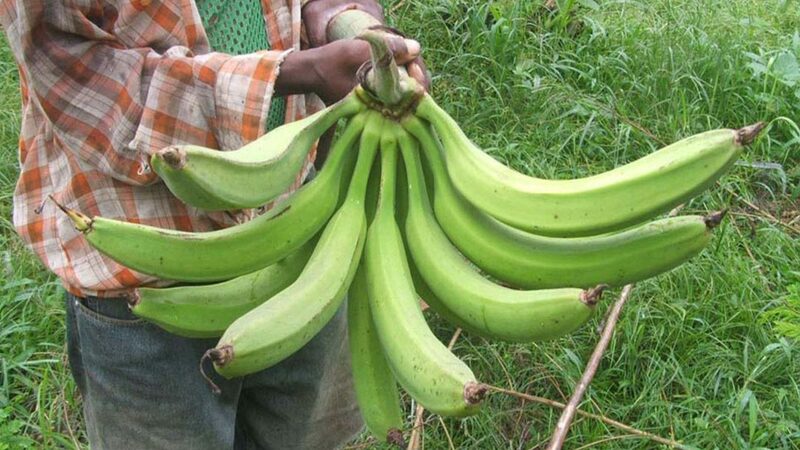 The researchers believe that this existing descriptor list for banana will also not be appropriate in describing variation within other subgroups of banana, like the East African Highland banana, Pacific plantain, etc. The observed variation was reproduced in the collection during succeeding cycles and confirmed the stability of the cultivars, as well as the value of the new descriptors. The classification of the plantain cultivars at the UNIKIS collection can be used as a standard for investigating plantain diversity for the entire African continent. The study results showed that the humid zone of DRC contains an exceptionally large diversity of plantains among the edible Musa subgroups. This means that DRC also has the largest diversity of plantains in Africa. The 100 different cultivars covered in the study represent just a part of the entire plantain variability zone in DRC. More cultivars are expected to be found in regions of the country that still need to be explored. The researchers believe that the diversity of plantain in DRC could be substantially larger than 120 cultivars. Plantain characterization data from DRC offer a platform for reflections on the pan-African scale of plantain diversity. Assessing and characterizing the complete plantain diversity in Africa is possible by compiling characterization results of all Central and West African countries whereby UNIKIS in DRC will play a key role given its expertise and access to the largest plantain variability. Since the planting of all accessions in one location is not feasible due to financial constraints, the researchers encouraged plantain curators to continue intensive contact, with regular exchange visits and discussions, to progressively reach an agreement on classification, synonymy, and uniqueness of all plantain cultivars. 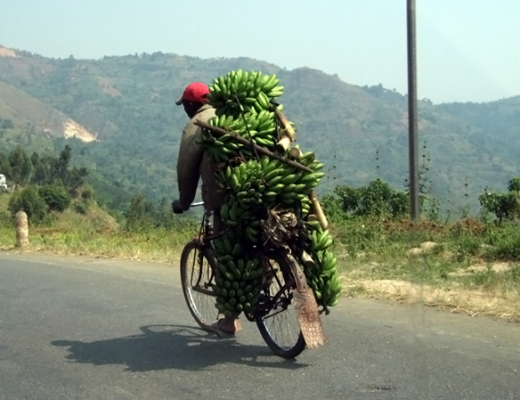 In sub-Saharan Africa, an estimated 30 million people depend on banana as the principal source of dietary carbohydrate, with small-scale farmers making up the vast majority of banana and plantain producers. They grow the crop mainly for home consumption or for local markets. 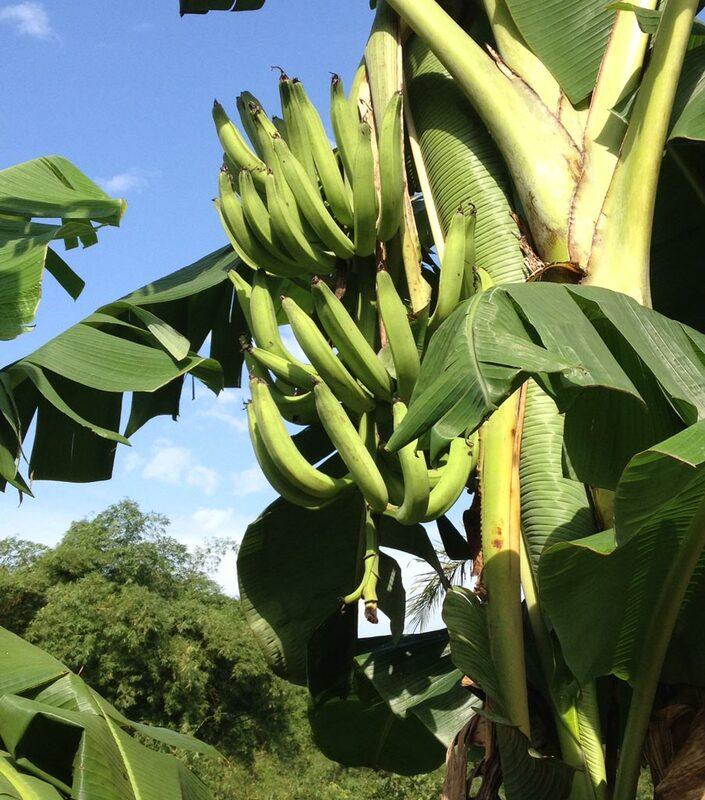 In West and Central Africa, about two-thirds of the banana cultivated and produced are plantain, which need to be processed and/or cooked for consumption. The other third consists of dessert and other cooking bananas. In Africa, the major producing countries are Cameroon, Ghana, Nigeria, and Côte d’Ivoire. According to the FAO, production of plantain in these countries ranks high (12.3 million tons in 2014) among the starchy staples. The study was conducted as part of a collaboration of researchers from University of Kisangani (UNIKIS), IITA, Bioversity International, and the Laboratory of Tropical Crop Improvement, Division of Crop Biotechnics, Katholieke Universiteit, Belgium.